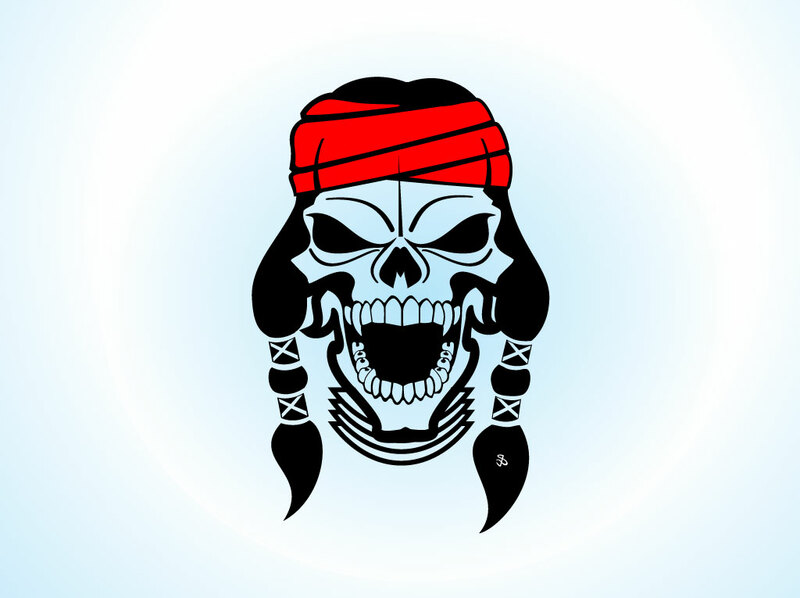 Two color vector cartoon graphic with an Apache Indian or Native American warrior skull. Long black hair with braids and red headband atop a sinister and angry skull graphic with fanged open mouth. Free download for tribal tattoo designs or primal warrior spirit t-shirts. Tags: Apache, Dead, Indian, Native American, Skull, Tattoo, Traditional, Tribal.